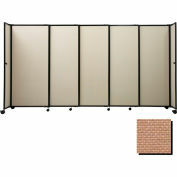 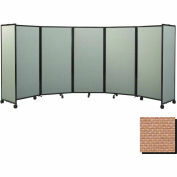 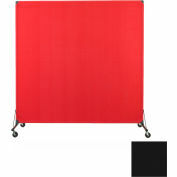 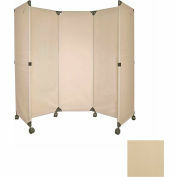 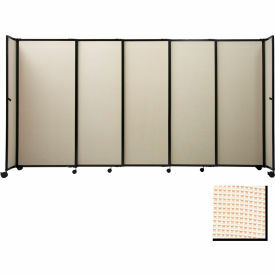 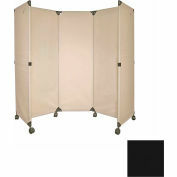 The StraightWall® Sliding Room Divider is our revolutionary, expandable, and adjustable portable partition. 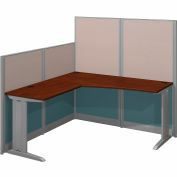 It is the perfect, high-quality, cost-effective space-dividing solution to maximize the use of your facility space. 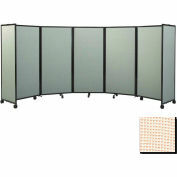 Each fiberglass StraightWall panel slides into series with the other panels to create a straight wall of any length. 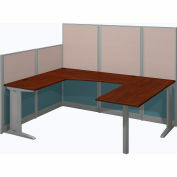 The StraightWall comes with unit-to-unit connectors to join additional units together to form longer partition walls, making it the perfect portable wall solution for any office or apartment. 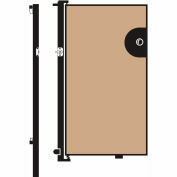 The StraightWall easily contracts to one panel width for easy storage, and it can accept top hooks for hanging artwork, photos and dry erase boards and it has a tackable surface for posting signage and documents.